A deluxe Leatherette edition of one of our all-time best-selling journals. Amazing Grace Deluxe Journal by Ellie Claire, was published by Ellie Claire in September 2014 and is our 27072nd best seller. The ISBN for Amazing Grace Deluxe Journal is 9781609368616. 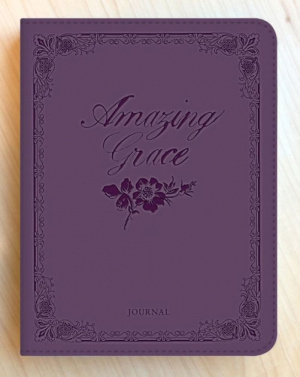 Be the first to review Amazing Grace Deluxe Journal! Got a question? No problem! Just click here to ask us about Amazing Grace Deluxe Journal.